Detox, meditation, colonic irrigation and then some: Is our obsession with wellness books and gurus bringing us the relief we crave? 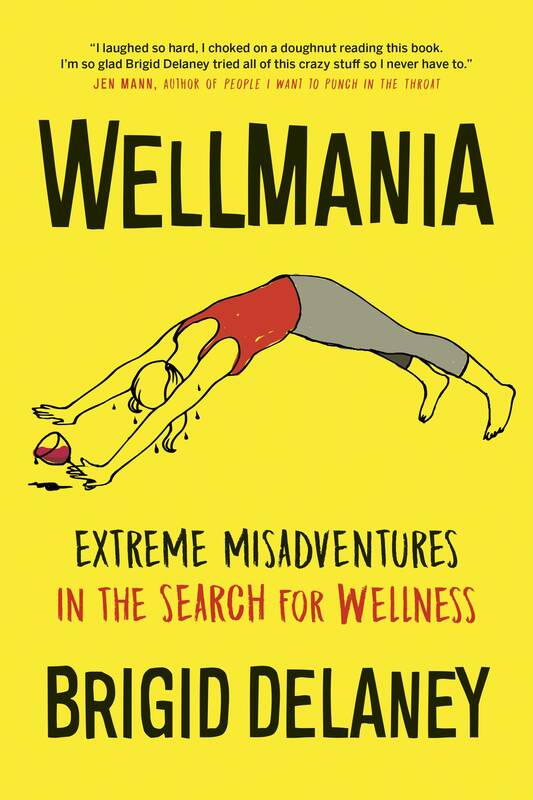 The first 100 pages of Brigid Delaney's book Wellmania: Extreme Misadventures in the Search for Wellness are devoted to a crazy, 101-day detox she did to purge all the evil toxins she'd accumulated from years as a carefree, single party gal. The night before it started, the Aussie writer threw a detox party, where she and her pals consumed copious amounts of wine, champagne and potato chips, topped off with a nice, juicy burger at 2 a.m. Needless to say, she was a little green around the gills when the 101 Wellbeing Program kicked off bright and early the next day. On paper, it promised so much, including a life expectancy of 101 if she stuck assidiously to the program. "This is quite unappealing," she observes in the book. 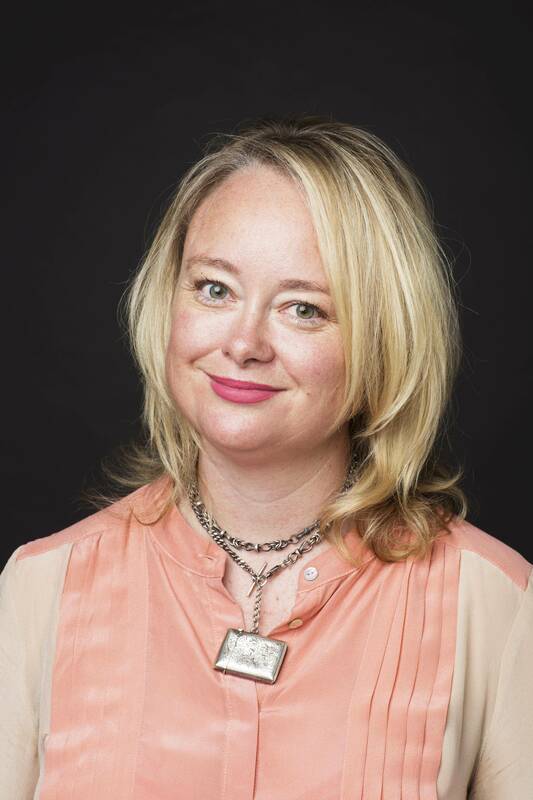 Brigid Delaney is the author of Wellmania: Extreme Misadventures in the Search for Wellness. The first two weeks, Delaney says she lived on "foul-smelling" herbs before moving on to "half a cucumber, an egg and eventually a piece of steamed fish the size of an iPhone 5." She writes that she smelled like "an open sewer," had headaches, nightmares, heart pain and horrendous diarrhea. One night, she was so ravenous she followed a poor man home carrying a pizza. Still, despite the discomforts (some would say agony) of the early days, she initially thought it was well worth it. Her skin glowed, her hair shone and friends told her she never looked better. By week 10, she'd lost 12 kilograms (26 pounds). "I was the girl with the waistline I'd had when I was 18 … with the new, small clothes. It possibly was the best I've looked," she writes in the book. Sadly, the weight loss – and accompanying euphoria – was short-lived. "I gained it all back within six months," says the 42-year-old, who has a weekly lifestyle column at The Guardian newspaper in Sydney. "I did the detox when I wasn't working, so I could moan, groan and loll about in bed all day. But when I got a job, I couldn't maintain that severe caloric restriction [roughly 250 a day]. My body desperately needed fuel. I had to eat!" The marathon detox was just one of many wellness crusades Delaney good-naturedly (for the most part) undergoes in Wellmania, which she describes as "one woman's adventures in the search for wellness – warts and all." She did a psychotherapy retreat (called Path of Love) in the Australian bush with primal screaming and a "shame and shadow day." She survived a colonic irrigation in the Philippines, which she summarized thus: "The treatment was in no way painful … but there are big taboos about shitting in front of other people – even in the medicalized, white-coat, highly hygienic setting of a health farm." She spent a week of (near) silence with Benedictine monks, did every form of yoga, sought guidance from healers in Bali and drank opium with Brahmin priests. One of the more hysterical episodes concerns her experience at an Ayurvedic retreat in the Sri Lankan jungle, "wrapped in a sheet … lathered in oil and basted like a barramundi [Asian sea bass] while a quart of oil dripped from the ceiling onto my third eye." After oleation (oiling the body inside and out), various forms of fomentation (hot, moist substances that ease the body), medicinal bath therapies and several elimination therapies (enemas etc. ), Delaney came to one surefire conclusion. "Many of these things aren't realistic," she says. "They cost thousands of dollars and innumerable hours that most people don't have. We have lives. We have jobs. We have families. We have obligations," she says. "It's no wonder people who want to be healthier, less stressed and more serene don't know where to turn. From a distance, the wellness industry can seem like a spinning wheel for caged mice: On and on we run, focused on our own individualist goals, looking straight ahead. And at the end, there is the multimillion-dollar question: Will any of this stuff actually make us happier?" The wellness industry is a global behemoth worth US$3.72-trillion, making it one of the fastest-growing and most resilient economic forces. According to a 2016 study by California's Global Wellness Institute, the wellness sector accounts for more than 5 per cent of global economic output, and nearly half of total health-care expenditures of $7.6-trillion worldwide. Its tentacles are everywhere. 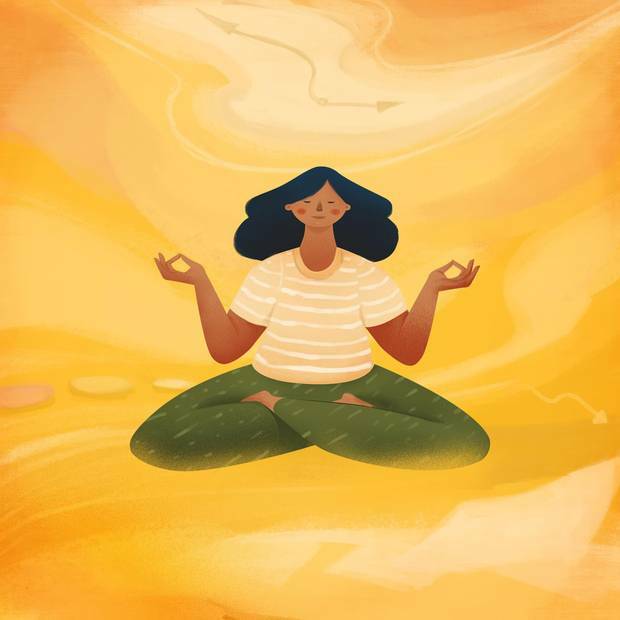 The good news about wellness, says the Global Wellness Institute's Beth McGroarty, is that 98 per cent of what you do is not going to harm you. "But the question is, it going to help you?" She believes the sector is so robust – and showing no signs of slowing down – because technology has turned us into combustible balls of stress. "Since the arrival of the smartphone and constant digital connection, modern life has never been more stressful," says McGroarty, research director at the GWI. "There is fake news, bad news, screens instead of real human beings. It only makes sense that people are seeking things that bring them some much-needed relief." The fastest-growing categories of the wellness market, according to the GWI, are preventive/personalized medicine, fitness/mind-body, wellness real estate and wellness tourism. The well-heeled are buying North Miami Beach penthouses designed by New Age entrepreneur Deepak Chopra (with layouts that optimize bodily functioning) and signing up for, say, a mindfulness river cruise in Myanmar, which takes passengers along the "spiritually enriching Ayeyarwady River on expert-led journeys of self-discovery." Droves flock to self-styled wellness gurus such as actors Jessica Alba (The Honest Co.) and Gwyneth Paltrow, whose fans (called Goopies after her thriving website) shell out hundreds on Goop-endorsed services such as vaginal steaming and raw-goat-milk cleanses, and products such as the infamous jade vaginal egg (not recommended by gynecologists) and the Implant O'Rama System At-Home Coffee Enema. "Wellness – on Instagram at least – is all about signalling," Delaney writes in her book. In other words, "signalling" means showing people how health-conscious you are by where you eat, shop, work out and travel. "Consumption is conspicuous." she argues. "How you eat is a dog whistle of sorts, a sign that you are a certain sort of person, with particular values, level of intelligence and spending power. The cleaner you eat, the higher you are up the hierarchy." Timothy Caulfield, research director at the University of Alberta's Health Law Institute, agrees. "Wellness has now become part of a person's personal brand. Driving a Prius tells the world what kind of person you are. It's a form of self-expression known as the Prius effect. The same thing happens with food and nutrition choices. People adapt to things that align to their world view and how they want the world to see them. Just think about the number of people you see walking the streets with Whole Food bags," says Caulfield, author of Is Gwyneth Paltrow Wrong About Everything? How the Famous Sell Us Elixirs of Health, Beauty & Happiness. "The purveyors of the wellness industry are savvy marketers and they leverage that. And no doubt, they will keep making sure they have products to fill people's need to look better, feel better and live better." From Delaney's point of view, the pursuit of "wellness," in the traditional sense, is an admirable thing. But experience taught her that goals for lasting inner-peace should be realistic. In other words, don't go over to the dark side where the wellmaniacs live. 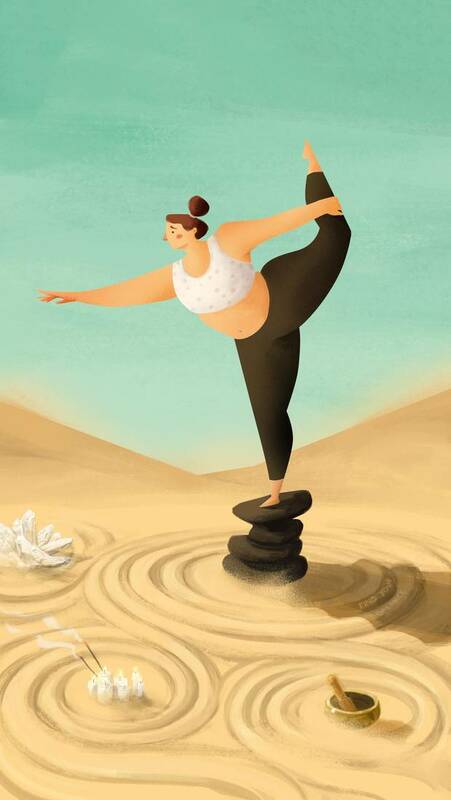 "We rely on the wellness industry because things are so out of whack. Many of us in the West … are living in times of high decadence. "There's the Christmas holiday binge followed by the February detox; the weekend of alcohol followed by a week of sweating out toxins in hot yoga; the mindset meditation apps that you can use when you need a quick break from multitasking." After everything she tried – screaming at the moon, dancing in the dark, hugging sweat-drenched strangers, stalking the poor man with the pizza – she discovered that her panacea is meditation, which she makes time for every day. "It's portable. You can do it at a minimal cost. And it makes me feel better," she says. "Simple as that." Not long ago, she met a 70-year-old man who seemed to have the whole wellness thing figured out. "The truth is, we've lost that way of being. I wish I could tell you that I'm going to go outside now and work in my vegetable garden, but I don't have one," Delaney says. "Sadly, our lives don't seem to allow us to have that constancy any more." Here are some of the top titles on peoples' nightstands. If you want puffy, pink-cloud stuff about the wonders of positive thinking, do not buy this book. Instead of hand-holding, it delivers a sharp slap on the side of the head. "What problem do you want to live with?" the author asks. Then he tells entertaining stories on how to get on with living an honest life. Instead of trying so hard to fit in, Brown advocates having the guts to stand out from the crowd. Be brave. Speak your mind. Embrace authenticity and vulnerability. It's a book that stresses the importance of individualism as a key ingredient of vibrant communities. This diet has no mercy. If you cheat – and eat dairy, grains, sugar, legumes, or drink alcohol – you have to start over. Whole30 is no picnic. It's work. You have to plan meals ahead, cook more of your own food and shop smarter (for whole foods, nothing processed). The best line? : "It is not hard. Don't you dare tell us this is hard. Quitting heroin is hard. Beating cancer is hard. Drinking your coffee black. Is. Not. Hard." A book with a title like this never gets old. Recently updated, the New York Times and Washington Post bestseller is a great tool to understand how the body works … and breaks. It focuses on spinal mechanics and tells us how to do exercises properly so we move with fluidity (or like a supple leopard!). The book sticks to a simple message – even micro-changes can make a huge difference in the quality of your life. A 15-minute walk each day lowers risk of breast and colon cancer. More sleep helps you lose weight. Caffeine – in moderation (ideally two, 10-ounce coffees a day) improves mental and physical performance. Hallelujah!